Patna: Dowry menace has reached its worst in Bihar. IAS groom gets arbitrary price while a banker Rs. 30 lakh. 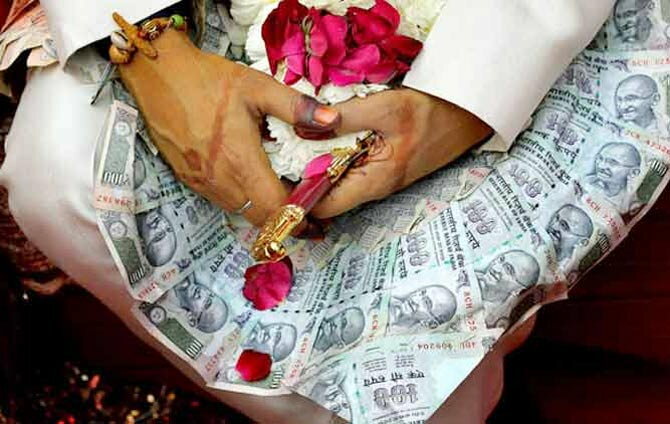 Five years ago, if a Rs 10-15 lakh wedding was big, now negotiations for grooms from affluent families start at Rs 30 lakh, going up to Rs 1 crore or more. And it is not just the money. Maruti cars have been replaced by luxury cars and VCRs by home theatres. Instead of Banarasi zari sarees for the bride’s trousseau, her parents now buy heavy lehngas with real gold and silver work on them, often with designer labels. The demand is for receptions in “marriage palaces”- huge, palatial wedding venues. Chefs are flown in for multi-cuisine wedding dinners. All this is usually paid for by the bride’s family. “The rich revel in the exchange of their black money, but the pressure on the other classes to ape them has serious social consequences.